Kids can be so greedy. Surely the spectacle of Gilles Villeneuve dragging half his Ferrari around Zandvoort and Alan Jones notching up a third straight win in the new-fangled Williams FW07 was enough for any motorsport-mad child? Not for one 12-year old, just back from his first trip to an overseas grand prix. A second fix of Formula One was clearly required that Bank Holiday weekend, especially when it was on offer just 10 miles down the road. These days, the powers-that-be keep reminding the British motor racing fan that he has no God-given right to his annual dose of F1, whether it be at Silverstone, Brands Hatch or Donington Park. Twenty years ago, though, he could hear the scream of a gridful of Cosworth DFVs at all those venues, and a few more besides. 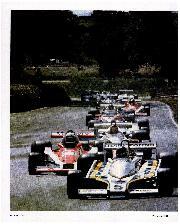 Back in 1979, the year of my trip to the Dutch Grand Prix, Britain had its own F1 championship. And it was positively thriving. The strength of that year's Aurora AFX F1 Championship meant I still got to see the race, even though Dad's Austin 1100 never actually beat its well-trodden path along the A2 to Brands. The race went out live, on Grandstand, bang in the middle of the Bank Holiday afternoon. From the sofa, I also got to watch, as they happened, the events of that year's finale at Silverstone, and then it was back to Brands for two more rounds in 1980. The draw of Formula One cars was undeniable, even if some of those that appeared in Aurora were well past their sell-by dates. The appeal of big-banger single-seater machinery had never been lost on championship founder John Webb, then in charge of the Brands Hatch group of circuits. 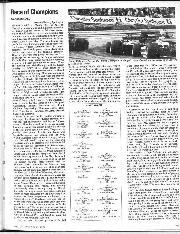 "I was old enough to have seen the BRM V16s racing at Castle Combe," he recalls. 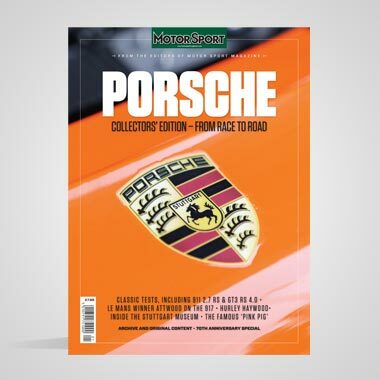 "In the immediate post-war period, British motor racing gave spectators, wherever they lived in the country, the occasional chance to see an F1 car or something similarly ground-quaking." 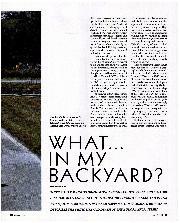 Webb's belief that the earth should move for fans "at least twice a year" explains why he'd imported Formula A from across the Pond and created Formula 5000 for the 1969 season. Eight years on, dwindling entries had forced Webb to turn the ShellSport-backed series into what might be best termed a super-libre championship. F5000 drivers failed to win only three of the 13 races in 1976, but F1 chassis, as well as Formula 2 and Atlantic machinery, helped fill out the grids. 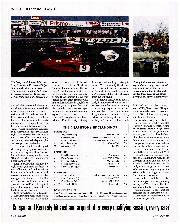 As ex-grand prix cars increasingly outpaced the F5000s in 1977, the obvious step was to do away with the larger-capacity class and create a British F1 Championship, albeit with a secondary F2 class. The timing of the switch was perfect, coming as it did in the middle of the kit-car era. "Formula One grids increased dramatically through the 1970s, which meant there was a surplus of second-hand cars," explains Webb. Just as importantly, the establishment of the British series proved a godsend for privateers increasingly squeezed out of grand prix racing for financial and political reasons. Emilio de Villota had endured a torrid time trying to break into F1 proper with a self-run McLaren M23 in 1977. The Spaniard recalls: "They were trying to force out private drivers like me. We always had to work out of our truck and it was difficult for us with the allocation of pit passes." The obvious step was to cross to Aurora. "It was perfect for me," remembers de Villota, who'd cut his F1 teeth in the 1976 ShellSport series. De Villota would finish third in Aurora in 1978, but the inaugural champion was another M23-equipped driver. Tony Trimmer, the Shell-Sport titleholder in a Surtees TS19 the previous season, had aspirations of breathing life into his stillborn grand prix career, but he didn't even have enough finance for a full year of Aurora. "Our budget was something like £90,000 and we'd run out of money by the end," he says. "It was very tough finding the money to run an F1 car in a national series." That explains why grids were on the thin side in Aurora's first year, but something significant happened at the seasonal finale. A young Irishman by the name of David Kennedy, double Formula Ford 1600 champion back in 1976, turned up after two disastrous seasons of F3 in Europe. "I was trying to resurrect a career and get to the top," recalls Kennedy. "I thought it would do me a lot of good if I could beat experienced F1 guys in Aurora and get experience at that level." He arrived at Snetterton with the same Theodore Racing Wolf WR4 that Keke Rosberg had driven in a handful of GPs that year. As the RAM Racing boss John Macdonald, then running a pair of F2-based March 781s, remembers: "The Irishman came along to Snett' and gave us a beating." 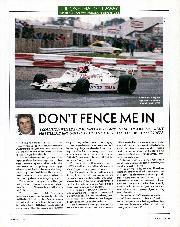 Kennedy was encouraged by the prospect of racing against 1976 British Formula 3 champion Rupert Keegan, who was rumoured to be stepping down to Aurora after two mixed seasons in GP racing. The perception of the series was clearly changing: no longer was it regarded as a retirement home for 30-somethings who had never quite made it at the highest level. Webb's vision of it becoming "an advanced training ground for future grand prix drivers" looked for a while as though it might become a reality. Keegan did make the switch to Aurora and he was later joined in the BS Fabrications Arrows squad by F2 refugee Ricardo Zunino. No-one knew it at the time, but the wealthy Argentinian's deal was brokered by Bernie Ecclestone, who wanted him in the Brabham GP team for the following season. 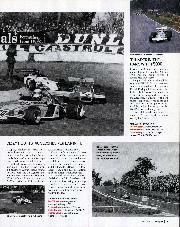 Aurora's grids expanded rapidly in 1979, drivers and teams encouraged by an increased prize fund from slotcar maker Aurora and the television coverage. An interesting addition was multiple motorcycle world champion Giacomo Agostini, whose Marlboro lire secured a supply of Williams FW06s for Bracey-Price Motorsport to run. Others attracted from abroad included Belgian Bernard de Dryver and Gordon Smiley from Texas. Agostini's two-year stint in Aurora failed to produce a win, but he notched up seven podiums in the FW06. But he is best remembered, at least within his team, for culinary expertise. 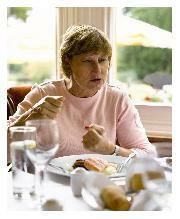 "Ago always cooked for us on Saturday nights," remembers Dave Price. 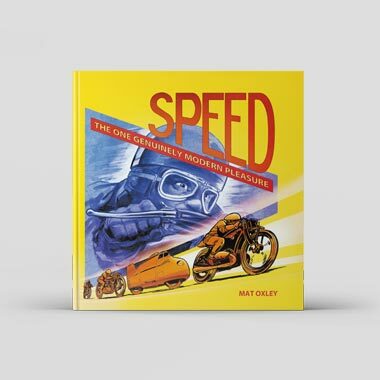 "Once at Mallory he couldn't get the ingredients locally, so he jumped in his Marina and went off to London. He knew he could get everything he wanted at Harrod's." If Ago added a touch of panache, then Smiley brought controversy. The American, who would later die at Indianapolis, had signed with reigning champions Melchester Racing to drive one of two Tyrrell 008s owned by the late Brian Kreisky. Their relationship wasn't easy and finally ended in Zandvoort during one of three overseas rounds that year. Smiley had been relegated to Trimmer's old M23 after a series of crashes in the more up-to-date car. Kreisky, talking shortly before his death, said blows were exchanged. "He'd been blaming all and sundry for his accidents. That made me lose my temper to which he responded by whacking me one," he said. "So I picked up an iron bar and hit him across the chest. I think I'd call it a score draw." The disgruntled driver promptly jumped ship to the pseudo-works Surtees team, though the squabble didn't end there. Kreisky claimed he served the Texan with a writ on the grid at Brands Hatch, dropping it into his lap after the two-minute board. It didn't deter Smiley, who later won a round of the series, a thrilling wet-dry climax at Silverstone into which three drivers went with a chance of taking the title. Kennedy had won the first two rounds in WR4, de Villota had taken four wins from five starts during a mid-season purple patch in his Lotus 78, and Keegan had either won or retired since joining the series in his Arrows A1B one round late. Just eight points separated the trio, with a total of 12 on offer. More to the point, and although Kennedy disputes it, he and Keegan hated each other. 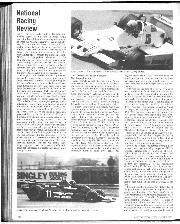 "Those two bitched and argued after every qualifying session and after every race," explains Dave 'Beaky' Sims, the team manager at BS Fabs. "Rupert was better than him, and that pissed Kennedy off"
Keegan trailed the Irishman by eight points going into the finale, so even if he won and took the three bonus points for pole position and fastest lap, second place would be enough to give Kennedy the title. But the Theodore Wolf man, now in a ground-effect WR6, decided against playing the percentages and opted to battle it out with Keegan. Sims suggests that he had an altogether different tactic in mind when he plunged down the inside at the Woodcote Chicane early in the race. "For sure, he had him off," he claims. "Kennedy knew exactly what he was doing." David maintains that wasn't his style and Keegan simply turned in on him. The upshot was that the Wolf speared into the catch-fencing, while his British rival clipped a single layer and kept going. Six points for second place, coupled with a clean sweep of the bonuses, was more than enough to give Keegan the crown. It wasn't enough to secure him a full-time GP ride the next year, though he did get back on the grid via a privateer FW07 entered by RAM. That was a sister car to the two chassis run in Aurora by Macdonald's equipe for de Villota and Chilean Eliseo Salazar, fresh out of British F3. Macdonald concedes he took a sledgehammer to crack a nut that year. He also admits his cars were running a dual-spring suspension set-up that negated the four centimetre ride-height minimum introduced along with a ban on sliding skirts at the start of the year. 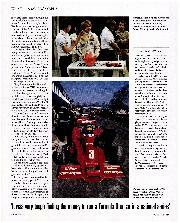 "'The total deal was worth £450,000 and de Villota brought along a DFV," he explains. "The previous year we'd run two Fittipaldis on £275,000. I think we helped precipitate the end of Aurora." Series stalwart Guy Edwards offered some opposition. 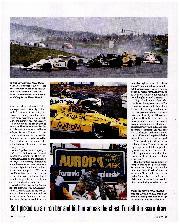 But his updated Arrows A1B proved no match for the two Williams, which won eight of the 12 races. Five wins and greater consistency gave de Villota the title ahead of his less experienced team-mate. Edwards won twice while another championship regular, Desire Wilson, became the only woman to win an F1 race when she triumphed at Brands Hatch in Kennedy's old WR4. The other victory, in soaking conditions at Oulton Park, went to Jim Crawford in an F2 Chevron. Just five F1 cars started the race that day. As budgets went up, grids went down. With recession beginning to bite, Webb pulled the plug even though Aurora wanted to continue. "We preferred to finish on a high rather than go into a disappointing fourth year." Webb reckoned his decision affected only seven drivers. An ignominious end to a series that had promised much. Not just to a load of GP has-beens and wannabes, but also to an F1-hungry public. 9: de Vilota; 5: Trimmer, Edwards, Keegan; 4: Kennedy; 3: Salazar; 1: Evans, Bruce Allison, Geof Lees, Giancarlo Martini, Ricardo Zunio, Gordon Smiley, Desire Wilson, Crawford. These days John Webb reckons the suggestion that the Aurora championship might attract grand prix squads wanting to run B-teams was little more than "press conference chat". It should not be forgotten, though, that the series did have works teams of its own. The final act of the BRM story was played out in Aurora. After a disastrous grand prix season with the P207 in 1977, team owner Louis Stanley opted to regroup at a domestic level. Ex-Formula 5000 driver Teddy Pilette stayed on and at least got to start some races. The Belgian didn't finish many, though. 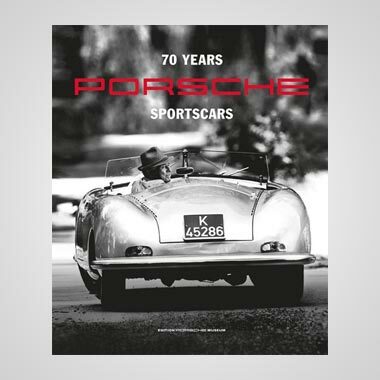 "The idea had been to sort out the engine problem from 1977, which was put down to valve breakages," says Pilette. "I was later told that we used the same batch all the way through the next year as well." Another GP team saw out its days in Aurora. When John Surtees pulled the plug on his eponymous operation at the end of 1978, team manager Peter Briggs kept the squad going on a hand-to-mouth existence through 1979. His estimated budget of about £80,000 included building the ground-effect version of the TS20 in which Gordon Smiley won the series finale. The radical-looking Kauhsen of 1979 may never have started a grand prix, but it did make its only race start in that year's Aurora opener at Zolder. Even more obscure was the car that Piercarlo Ghinzani briefly drove in qualifying for the Monza race in 1980. The Cosworth-engined Dywa probably stands as the worst Formula One car of all time.